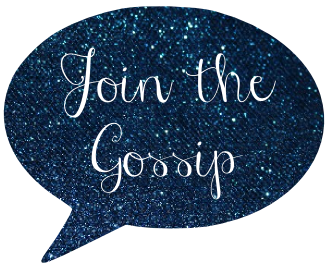 Join The Gossip: Cherry on Top! There are so many blog awards floating around out there that it can get overwhelming (not to mention repetitive), but the most recent award I received is new to me and I love it! 1) I've traveled by myself. Scary at first, but SO liberating! 2) I've rescued two dogs, taking them in when they had nowhere else to go. 3) I am a loyal person. If you treat me right, I'll be your best friend for years! I love this picture not only because is the setting beautiful, it brings back memories of a great trip I took with my parents. 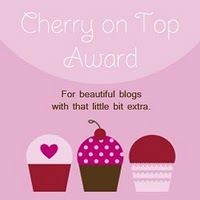 Pass on to 5 other blogs that you just adore! These are amazing five blogs with wonderful women behind them. If you aren't yet, get acquainted! Aww, thanks! I love that photo. It looks so warm and sunny and relaxing. And you have great memories to go along with it! Aww thanks so much love! I love that you rescued some sweet pups and gave them a good home and love that you are a loyal friend! I am the same if treated right, he he. That photo is amazing too. Oh to travel! That photo is GORGEOUS! I love. That gorgeous photo makes me want to plan another trip to Mexico! I'd LOVE to see the the mayan ruins!!! Awwe, I love you so much! Thank you so much for passing this award along - you are such a doll. Omg, we're having a snow warning for tomorrow/Friday, so that picture is making me DIE for the warm weather! You also are such a loyal person - I am so thankful for you and our friendship, dear girl! Congrats lady! And I hear ya about traveling alone! It's so liberating! You are so sweeeeeeeet! I saw the teaser on twitter but I was at the airport so couldn't see your blog post. I love this! And that gorgeous picture. Thank you so much for passing this along to me and I will most definitely be posting about this. You know that you and your blog is at the top of my list and I heart you to pieces!! I really admire you for traveling alone. I used to think I was a rebel for going to the movies alone. Mexico is such a beautiful place and I can’t wait to go back. That photo of Tulum is gorgeous.